Perfect for a blackberry pie, this crust recipe came from Norma Harrington at Nendell’s Inn in Portland about 50 years ago. So it's a state-of-the-art retro Oregon recipe. Its greatest strength as a crust is its idiot-proofness — you can work it and work it and it doesn't get tough. Cut the flour, salt, and shortening with forks or a pastry cutter. Moisten with the whipping cream until the dry ingredients adhere to one another but are not sticky. Gather the dough into a ball, wrap in plastic wrap, parchment, or waxed paper, and refrigerate for at least half an hour. Roll out the dough and transfer it to a pie pan. Use the remaining dough to make a lattice top crust. 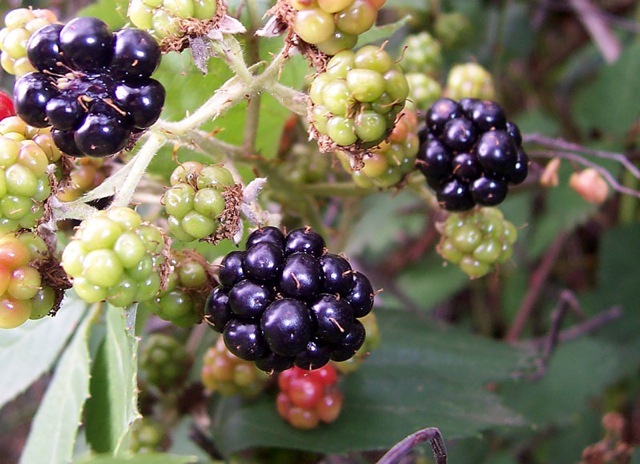 If making a blackberry pie, fill the bottom pie crust with several cups of fresh washed blackberries mixed with 1 cup sugar and the juice of 1 lemon. Cover with the lattice top and bake at 400 for about an hour, until the crust is browned and the filling is bubbling. Let cool on a rack before serving. If you have any extra dough, roll it out, sprinkle it with cinnamon and sugar, and cut into 1-inch-thick strips. Bake at 400 degrees until golden.